Firelight Media Group: Adventures in Africa, starring Byron Campbell! Adventures in Africa, starring Byron Campbell! Byron is in Africa! For this week's blog post, I thought I'd let you all in on how he is doing. Byron left Sunday for Africa where he is shooting interviews and b-roll for a video for Project MedSend. 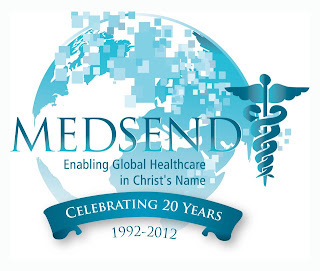 Project MedSend is an organization that pays the student loans of doctors who want to work as missionaries in foreign countries. You can check out their website for more info on the work they do! In Amsterdam waiting for the next flight. Going to the bathroom on the plane - boy these are small - and hit the call light and could not get it off. Ah, the joys of being a big midwestern boy! He did make it all the way to Kenya (the trip will take him through several countries in Africa.) He called us on Tuesday and said the biggest shock to him about Africa was the smell, and the hardest thing for him was the lack of A/C. He is also not particularly partial to the native food. And, in a first for Byron, he is now sick of Coke. Drinking the water isn't an option, and apparently there aren't many other drinks available over there! ok - this is going to be tough - first night was extremely tough - about 3 hours sleep - window has to be open for air, cough circulation. The mosque chants at 2 and then starting at 5. Well it will be cool to see Tenwich Hospital. If you are wondering we are 8 hours ahead. 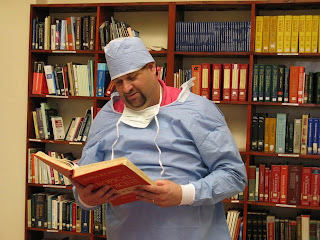 Apparently the shoot at Tenwek went extremely well, and it looks like Byron got to dress up and act like a doctor for a little while! 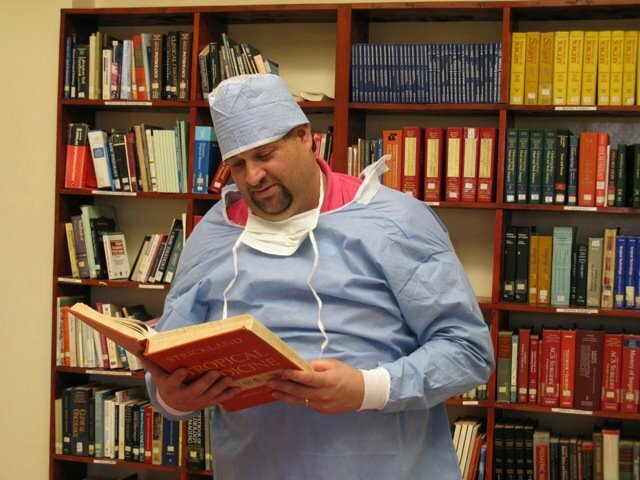 Tenwek is the primary hospital in a region of about 8.5 million people, and it is also a training facility for nurses and has a residency program in family health and general surgury. Byron has since flown on to Uganda. Their first flight was delayed, which necessitated a day layover somewhere between Kenya and Uganda. He said he was sitting on the porch, feeling a nice breeze and enjoying the time to relax. They flew over the beautiful Rift Valley. I told him to take pictures! He's on his way to Entebbe tonight. Tune in for more Adventures in Africa with Byron next week! You can follow Byron on Facebook, where he has been posting fairly regular updates. You can also follow Project MedSend on Facebook, where they have been posting pictures and information about this trip and the work they do.